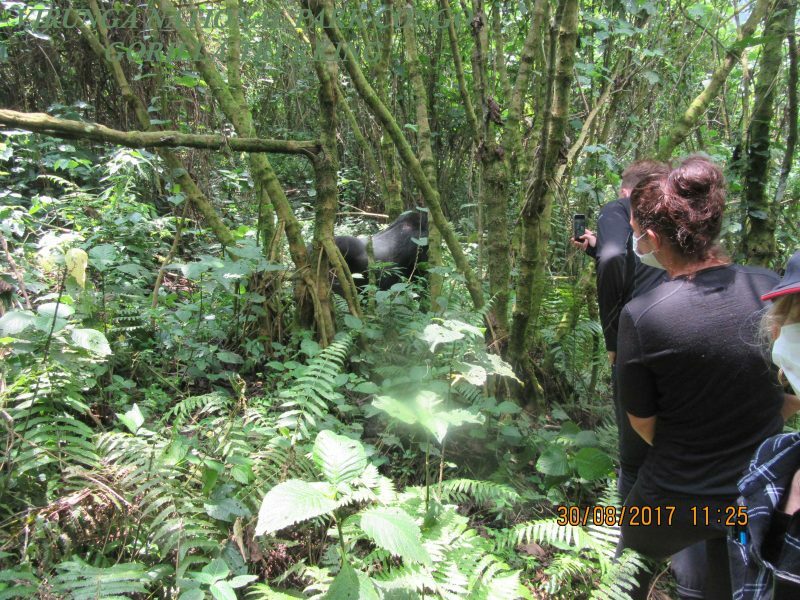 The 9 days Uganda wildlife tour & gorilla safari Rwanda is a 9 days Lake Mburo & Queen Elizabeth wildlife safari in Uganda and gorilla trekking tour in Rwanda’s Volcanoes National Park. 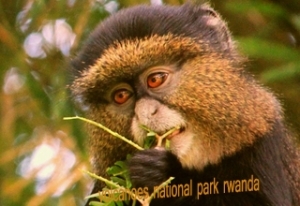 Your 9 days tour is a 2 East African safari to the Pearl of Africa-Uganda and the Land of a thousand hills-Rwanda. 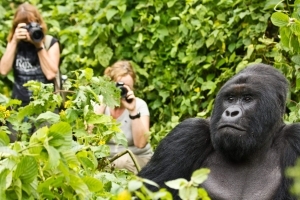 This exclusive 9 days Uganda tour and Rwanda safari features wildlife encounters in Uganda’s Lake Mburo National Park and Queen Elizabeth National Park then mountain gorilla experience in Rwanda’s Volcanoes National Park. 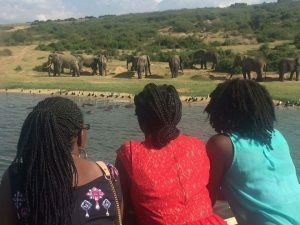 You arrive at Entebbe international airport in Uganda where you are driven by your safari guide through the bustling Kampala city to Lake Mburo National Park. 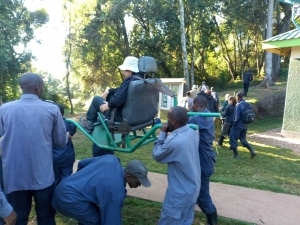 You have a boat cruise and nature walk at Lake Mburo park then continue to Queen Elizabeth park for a game drive and boat cruise then after go to Lake Bunyonyi. 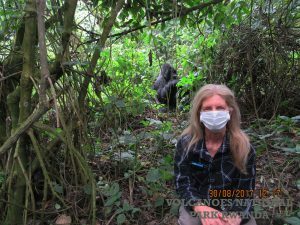 From Lake Bunyonyi you are drive to Rwanda’s Volcanoes national park where you undertake gorilla trekking, golden monkey trekking and pay a visit to Dian Fossey center. You later on depart via Kigali international airport. 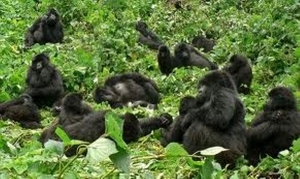 Day 7: You have a gorilla safari Rwanda tour at Volcanoes National Park for about 2-6hours. Day 9: After breakfast, you are driven to Kigali international airport for a departure flight via Kigali city. Your professional safari driver guide will pick you up from your hotel or place of residence as early as 7:00am for a road trip to Lake Mburo National Park. 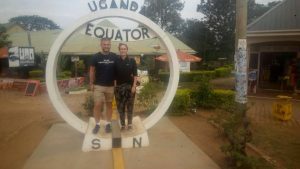 After an 80km drive from Kampala, you will have stop at the equator line in Kayabwe for a zero-latitude experience and photography. 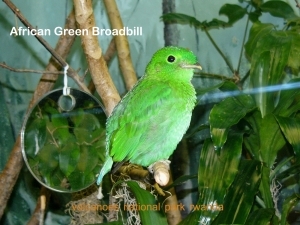 This will last maximumly one hour according to your interests and thereafter proceed to Lake Mburo National Park. Upon arrival, you will check in to your accommodation facility, have lunch and then after go to the park headquarters for an evening game drive at 4:00pm. 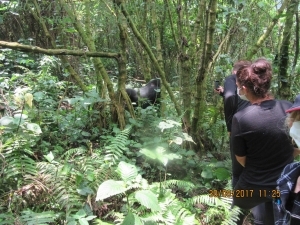 The game drive lasts about 2-4hours then after return for dinner an overnight stay at an accommodation in Lake Mburo National Park.